Hellboy is an upcoming American supernatural superhero film based on the Dark Horse Comics character of the same name, distributed by Lionsgate. The film is directed by Neil Marshall and stars David Harbour, Milla Jovovich, Ian McShane, Sasha Lane, Brian Gleeson, Daniel Dae Kim, and Sophie Okonedo. 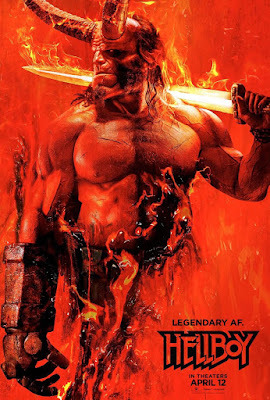 It is a reboot of the Hellboy film series and is the third live-action installment in the film series.